Imagines mairoum, performance at The Kitchen Strikes Back, IPN, Toulouse, France, 2018. Photo by Ben Paré. Borrowing in format from the infamous TED Talks conference series, I deliver (in French with a thick American accent) a meandering and nostalgic monologue, sporting a latex mask of my own face and a wig identical to my hair. Can I look more like myself than I already do? The imagines maiorum, beeswax busts of venerated ancestors, were for affluent Roman families more than just simple subjects in an elaborate geneological tree, they were canonical figures of society, propagand-esque, immaculate, beautiful. In trying to describe the essential, don’t we end up resembling something else entirely? 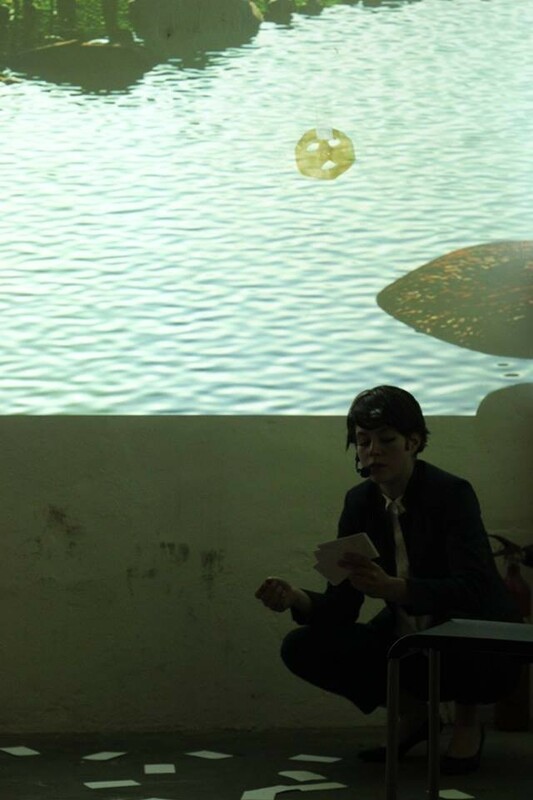 Imagines maiorum, performance at the Café Performance AIFAC, Fiac, France, 2018. 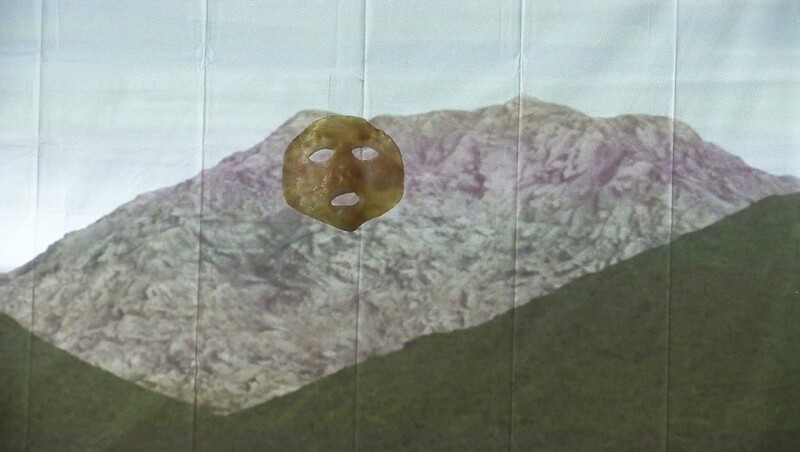 Traces of the performance at AFIAC.